Prohut is proud to announce Software Testing Training in Noida, Delhi, Ghaziabad, NCR. We also offer Online Software Testing Training for outstation students. In Prohut, we are using advanced technology to train you on QA, QTP, Software Testing and Test Automation. Overview:The current software industry needs a Manual Tester who is not only proficient in software testing but also have thorough knowledge of complete software development process, so that he/she can work continuously with development team. Classroom training, lecture presentation, lab practical and app testing project. For IT users or professionals for enabling them to make career in testing, or enabling them with testing skills to perform software testing on their present job. Commissioning and Training, Manuals and Guidelines, Contracting Out, In plant Training. The mobile testing course is intended to provide hands-on training on Mobile testing using Appium. This course will cover all the basic concepts of automation testing of mobile applications. Specification by Example a success. We'll give you solid training in test automation and how to write executable specifications with Cucumber. Croma Campus is a training center execute by highly technical qualified IT PROFESSIONALS working in various Top Level MNCs across India having 8+ years of experience in various kinds of technologies. Backed by our skilled professionals, we are involved in providing Retailwins Training Service. 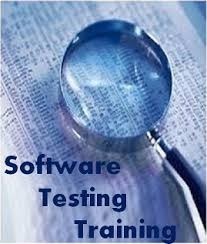 Satej Infotech is the Best Software Testing Training Institute Kolhapur Provide Professional Software Testing Courses. Looking for best Software Testing Training in Bangalore Atebyte Technologies is the No 1 Software Testing Training Institute in Bangalore offering professional training on both Manual, automation testing training like Selenium, QTP/UFT and Performance Testing Training Courses like LoadRunner and JMeter.We also offer customized training to suit your learning needs. 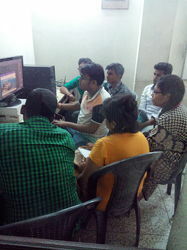 Specialized traings for new commers in the field of calibraion & testing fileds.